Drive Medical Extended Height Walker Wheels and Legs - 10108WC allows for height adjustments from 36" to 43" (walker handgrip to floor). Drive Medical Extended Height Walker Wheels and Legs - 10108WC allows for height adjustments from 36" to 43" (walker handgrip to floor). 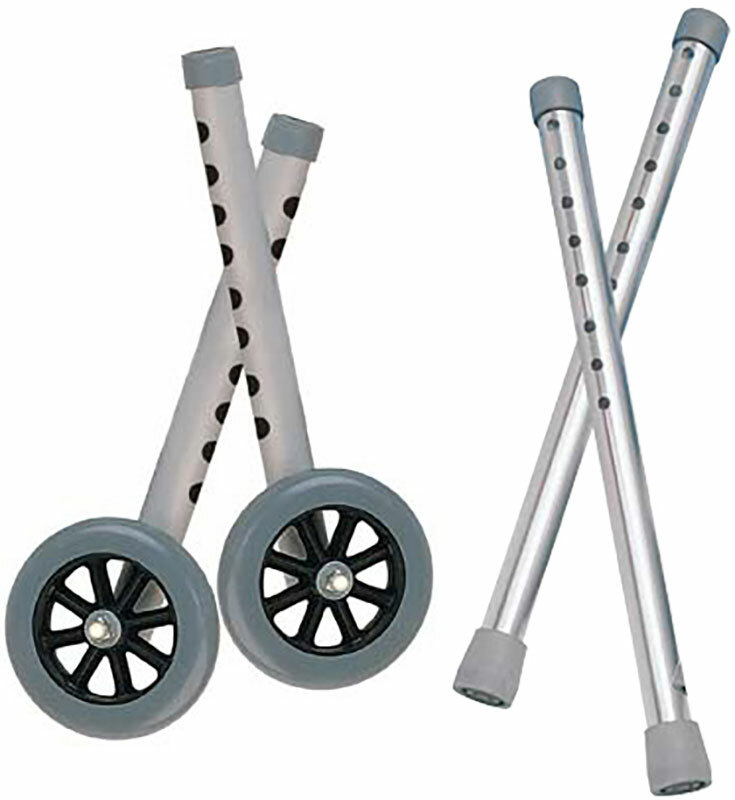 Combo Pack, includes 1 pair Extension Leg with 5" Wheels (item #10108W) and 1 pair Extension Legs (item #10108)5" Rubber wheel allows walker to roll easily and smoothly over irregular surfaces. For use with all Drive and most leading manufactures walkers. Includes rear glide caps, (item #10107) and glide covers (item #10107C) allowing use on all surfaces. To be purchased with Extension Legs (item #10108) or you can order the 10108WC.